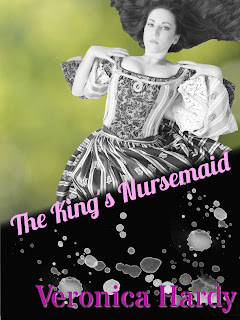 I got such a positive response to the first work, The King's Nursemaid, that the cogs in my mind started churning and I drafted up a sequel. This is a short, sneak peak, but I hope that you enjoy what you read. If you have not already, head on over to Amazon and purchase the 1st book. The King's Nursemaid. “Excuse me ma’am, but his Royal Majesty is asking for you. He has given me instruction that you are to find him in his conference chambers,” The servant was curt, her eyes unfocused on the Nursemaid. Word had gotten around as to what she her official duties were and no none of the servants bothered to look directly at her. She was a pariah. She blushed, as she was accustomed to doing and walked past the servant, her head low with shame. She entered the King’s strategizing room, to find him amongst a group of men with a map of the country laid out with a few pawns strategically located. They could have been discussing food supplies or religious establishments, Clara was not sure, but they were conducting business. “Ah, Clara. There you are. We were all setting down for a snack and I figured I would have one of my own,” Cailean smiled up at her with a wolves grin. He did not use a royal “We” like many of the Kings in Saxony and France. It was something he disagreed with as a good Celt. “Sir?” She asked, hesitating. Did he want her to bare herself here? In front of these many fine Lords? “Well, we needn’t wait all day. Hurry up then, lass,” King Cailean reached over and grabbed her waist, pulling her into his lap and unlacing his corset herself. She gulped and looked out to the faces of the men, who were all staring at her. What were they thinking? Once her corset was loose enough he reached inside of it and pulled out her bosom. Her thick breasts spilled out before all of the men quivering as they landed, the ripples of flesh bouncing before their eyes. She could swear she at least two of the Lords lick their lips. Clara flushed with embarrassment. There she was, before all of these men, he breasts tumbling out before them. She looked at Cailean who bent down and kissed her cheek. He was in total control. He was after all, the King.